Lee Armstrong, Partner from Fine & Country Derbyshire, Greg Perrins, Associate from Fine & Country Derbyshire, Jess Nicholls, Executive Assistant from Fine & Country Derbyshire, Jonathan Handford, Managing Director from Fine & Country Leamingon Spa, Nicki Armstrong and Kieron Clarke. 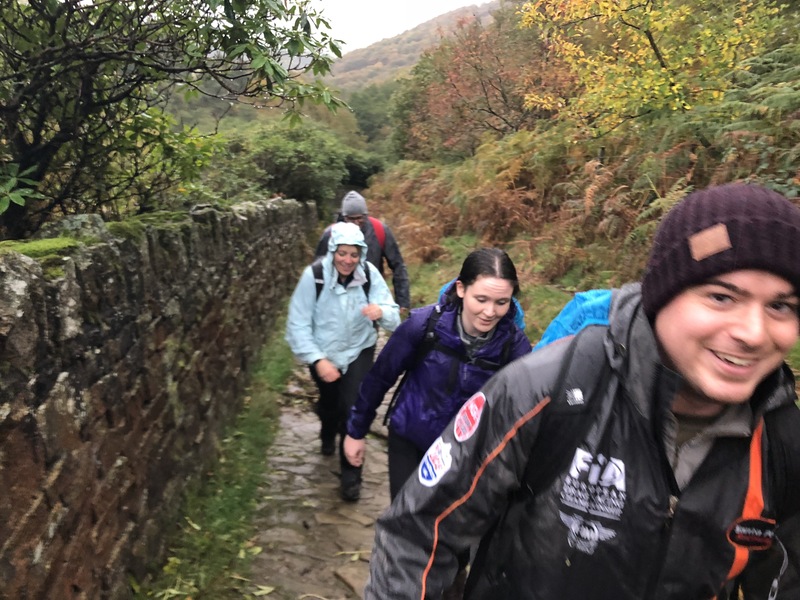 Six intrepid hikers battled 25 miles of the Peak District in Derbyshire through soaking downpours, bogged marshland and bursting riverbanks on Sunday 14th October. 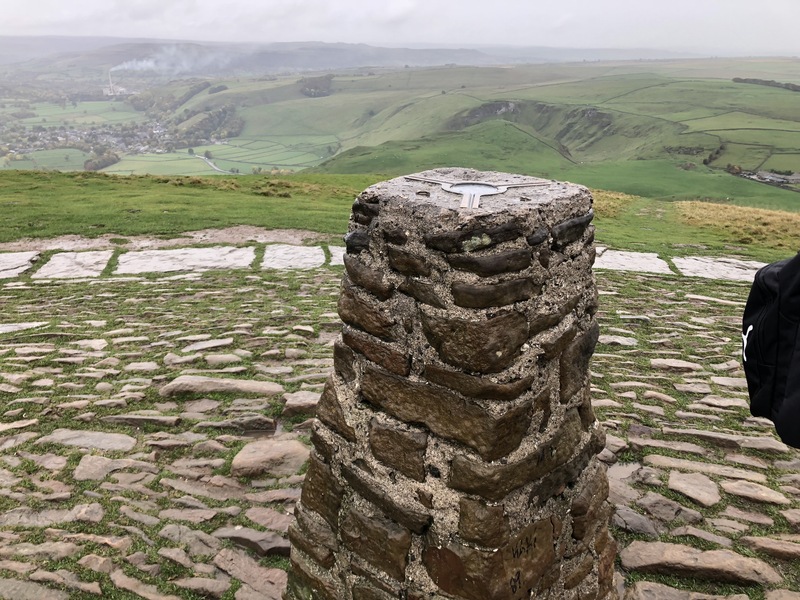 In true British style, the weather forecast for the Derbyshire Peak District was predicted to be a calm, sunny and dry day, but with less than a day’s notice this drastically changed to heavy downpours and strong winds. 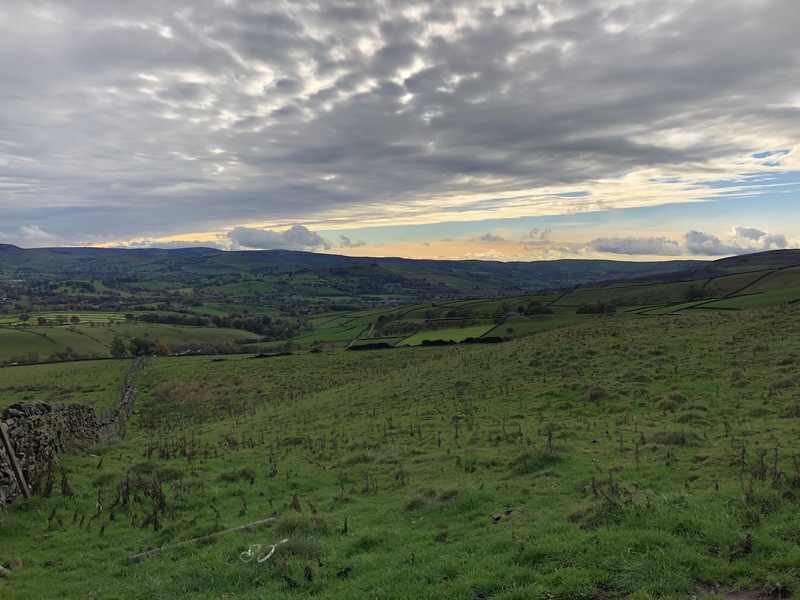 Along the route, the team climbed Kinder Scout, Chinley Head and Mam Torr and other selected peaks in a round trip from Hayfield. They began their walk at 8.30am and within half an hour their coats, clothes and boots were soaked through. The rain didn’t subside until 4pm, leaving the trekkers’ final two hours of hiking to dry off. 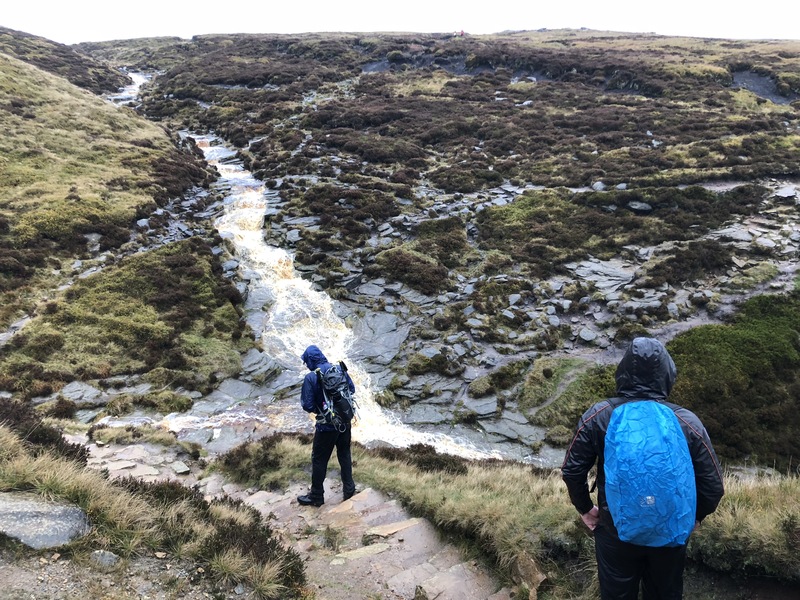 Lee Armstrong, Associate from Fine & Country Derbyshire described the day: “The walking conditions were atrocious. Thankfully, we had a map and compass because the heavy rain made the route look completely different: pathways became streams and streams turned into rivers. “At one point we were jumping over newly-created waterfalls. Nonetheless, we all walked together and kept spirits high with plenty of chatting. 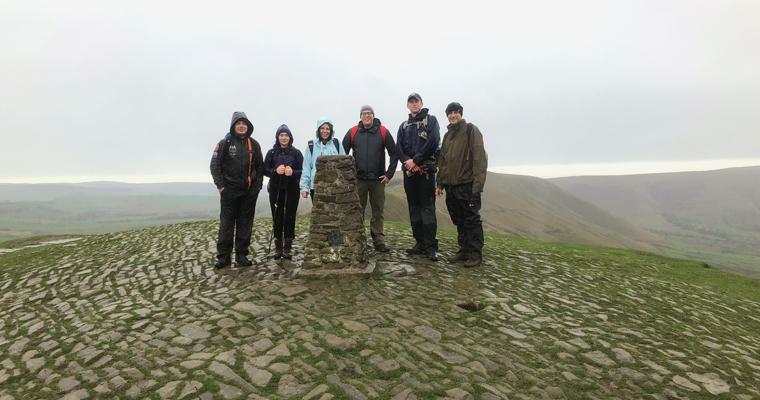 The team are raising money for the Padley Group, a local homeless charity in Derby. They work on three key platforms: the Homeless Centre, Development Centre and Charity Shop. Through a combination of courses, activities, support groups and community outreach, the Padley Group can tackle the root causes of issues and help their service users to get out of the cycle of homelessness permanently. Fine & Country Derbyshire’s Peak District walk was a precursor for their main expedition: the National Three Peaks Challenge. Join the team and hike Snowdon in Wales, Scarfell Pike in England and Ben Nevis in Scotland in less than 24 hours. Each mountain represents the tallest mountain in their respective country. The challenge however, is not just about fitness. Stamina and planning play key roles in the challenge as the trekkers need to work out their timings and transport to travel between the mountains and routes up and down. To register your interest for the National Three Peaks Challenge, contact foundation@fineandcountry.com or call +44(0) 20 3368 8221.